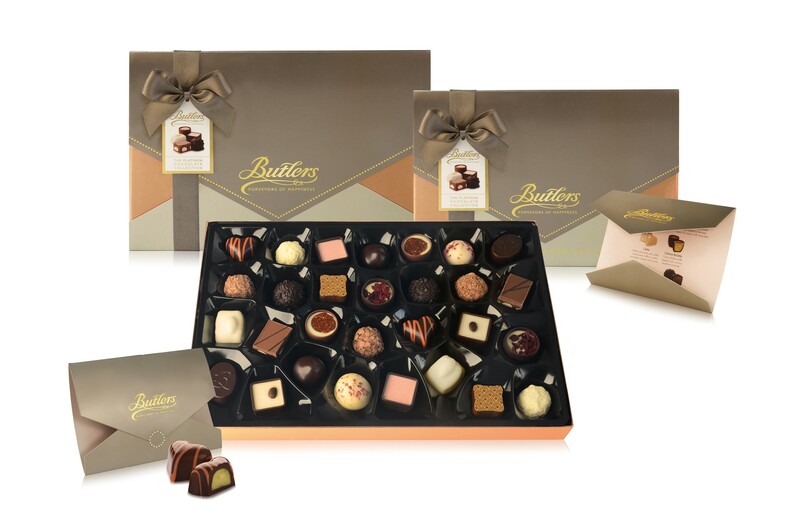 Butlers Chocolates was established in Ireland in 1932 and now more than 85 years on, the family-owned company is still crafting award-winning premium chocolate and confectionery from a state of the art BRC accredited factory in Dublin, Ireland. Travel Retail has been at the heart of the business for over 40 years. In fact, Butlers pioneered the development of the premium chocolate category in Dublin Airport, at a time when the category was in its infancy on the Irish high street. The Butlers brand is now available in 40 countries and 60 airports around the globe (including, among others; Heathrow, Dublin, Dubai, Bahrain, Lisbon, Singapore, Delhi, Abu Dhabi and Sydney) as Butlers Chocolates world-class reputation continues to grow in Travel Retail and downtown stores. Butlers are also known and loved throughout Ireland and beyond for our eponymous retail concept - Butlers Chocolate Café, an innovative experience personifying the Butlers brand in over 30 stores worldwide including Dubai Airport and other locations in the Middle East and South Asia. The brand has won many accolades over the years including Supplier of the Year at the prestigious Frontier Awards in Cannes. The company exhibits at TFWA Cannes and TFWA AP every year, in addition to participating at WTCE Hamburg. Butlers, Chocolate Masters since 1932, and Ireland’s premier family-owned chocolatier, will showcase an exciting collection of deeply decadent dark chocolate mini bars at this autumn’s TFWA exhibition in Cannes. The stunning Travel Retail exclusive will comprise a selection of four individually wrapped mini bars in the cocoa luxuriant flavours of 85%, 78%, 70% and Dark Chocolate Salted Caramel Crunch, beautifully presented in a tapered box hand tied with a gorgeous matching ribbon. 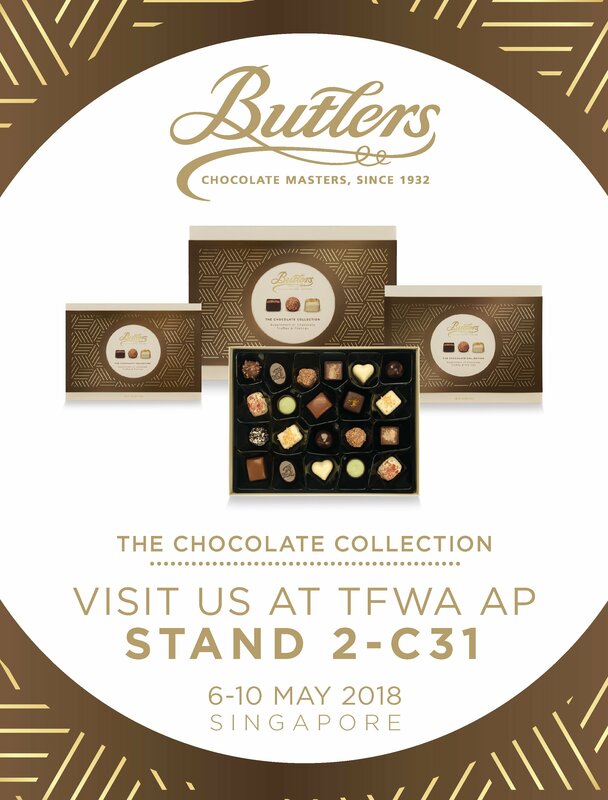 Building on the successful launch of The Chocolate Collection at TFWA AP, Butlers will debut a new Dark Chocolate Collection variant - containing a luxurious compilation of wonderfully intense and indulgent dark truffles and pralines. The Chocolate Collection features an irresistible assortment of beautifully presented luxury chocolates in elegant ivory gift boxes and finished with a stylish sleeve. The selection inside is crafted with popular Asian flavours including Green Tea, Spiced Chai and Mango & Lemongrass. Butlers will also unveil a contemporary new look for their ever popular Premium Selection Assortment, Dark Premium Assortment and Premium Giftwrapped Ballotins. Each stunning compilation will contain a new decadent arrangement of classic and contemporary chocolates from the Butlers signature range. 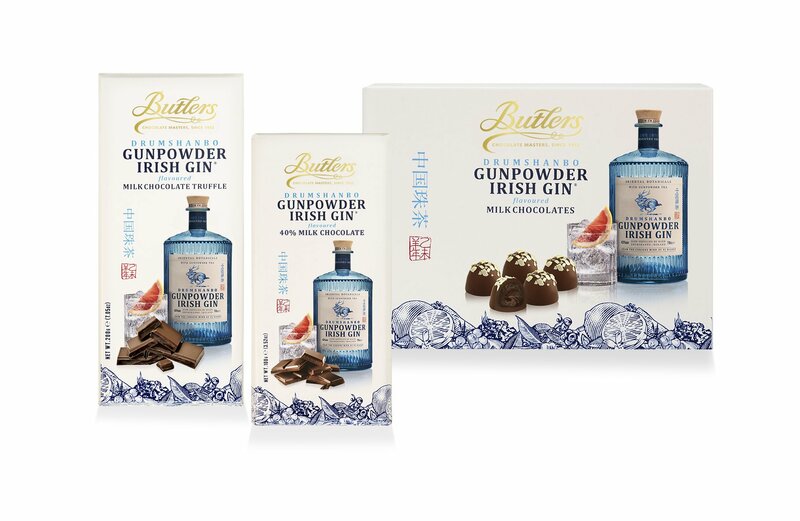 Finally, Butlers irresistible Drumshanbo Gunpowder Irish Gin flavoured milk chocolate collection will also be on display. Following its successful unveiling at last year’s show, the popular collaboration between Butlers and The Shed Distillery of P.J. Rigney has captured the hearts and minds of chocolate and gin lovers around the globe and has been announced as a finalist in Star Product and Partnership of the Year categories at this year’s Frontier Awards. Butlers Chocolates were recently thrilled to be awarded a Travel Retail Award for Best Confectionery Product for the stunning Platinum Collection. 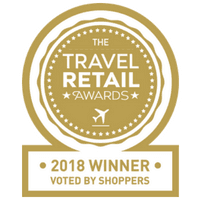 The inaugural awards showcase the best in class in Travel Retail, as voted for by 5000 travelling consumers from all over the world. The Platinum Collection was created for chocolate lovers looking for something unique and special - a chocolate gift beyond the ordinary, reflecting the care and thoughts of the gift buyer. The Platinum Collection is the perfect choice for customers looking for a gift with beautiful packaging and delicious classic and contemporary chocolates, working together to create a truly memorable experience for the recipient. The stunning colours and various textures of this beautiful box from Butlers Chocolates, make this chocolate selection a magnificent gift for all ages. Butlers Chocolates, Ireland’s premier family owned chocolatier, have created an irresistible new assortment of luxury chocolates and presented them in elegant, sophisticated ivory gift boxes with a sleeve in rich metallic tones of gold and bronze. The sleeve has a distinctive Art Deco feel with an elegant hoop-shaped reveal featuring 3 signature chocolates. The chocolates, which are crafted with the finest of ingredients, have been designed using popular Asian flavours including Green Tea, Spiced Chai and Mango & Lemongrass. Butlers Chocolate Collection will be available in 3 sizes from May 2018. 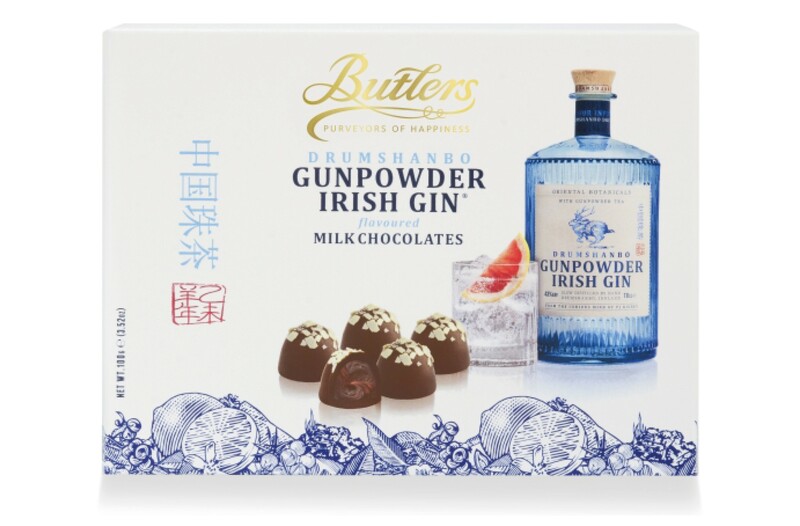 In addition to the Chocolate Collection, Butlers will also show for the first time in Asia, its stylish and successful edit on the flavour of the moment, Gin, with its range of Drumshanbo Gunpowder Irish Gin chocolate truffles and bars. This collection was launched in late 2017 and has been very well received by gin and chocolate lovers all over the world. Butlers will also present their entire Travel Retail collection including elegant assortments, mini bars and impulse bars as well as Irish Cream and Irish Whiskey chocolate and confectionery. Butlers tempting collection of mini bars features milk, dark and white mini bars in six sublime flavours. Each mini bar is individually wrapped in vibrant descriptive packaging to reflect the delicious flavour inside. Butlers Platinum Collection, a quintessential blend of surprise and elegance promising a superior, sophisticated chocolate experience to discerning travel retail customers. Beautifully executed with lustrous metallic tones, the strikingly detailed sleeve features a coordinating ribbon and swing tag. Underneath its alluring exterior, lies a luxurious rose gold rigid lidded box embossed with gilded logo. The delicate precious metals theme carries through to the dazzling interior, specially designed to captivate and delight. Creating a unique sense of occasion, a mini clutch-style story card details the opulent chocolate selection inside. Available in two sizes; 210g and 410g, the Platinum Collection alcohol-free selection includes classic and new favourites from Butlers such as; Pink Himalayan Salted Caramel, Raspberry Panna Cotta and Crème Brûlée. Designed with international travellers in mind, Butlers Premium Selection boxes have been created using rich dark brown and chocolate tones, matt finishes, customised designs and mouth-watering photography. The rigid boxes, printed with the Butlers logo in gold foil with matching sleeve with integrated ribbon and images of some of Butlers favourite chocolates. The range comprises a set of assorted luxury chocolates and a dark chocolate version, featuring a lavish selection of 14 alcohol free dark chocolate truffles and pralines. Butlers premium ballotins feature a delicious selection of assorted chocolates, beautifully giftwrapped in luxurious contemporary giftwrap paper, featuring a delectable collection of assorted chocolates inside. Butlers Dessert Menu comprises an ambrosial collection of indulgent dessert varieties, beautifully presented in striking packaging. Each generous chocolate features a crisp chocolate shell filled with a deeply luscious centre embodying a popular dessert recipe and then exquisitely finished with a lavish decoration. The Dessert Menu box contains the eight sumptuous flavours of; Café Mocha, Red Velvet, Sticky Toffee, Crème Brûlée, Orange Bombe, Lemon Parfait, Hazelnut Brownie and Panna Cotta. The Chocolate Box showcases an exquisite collection of delectably delicious chocolates such as 70% Dark Chocolate Truffle, White Butter Praline and Milk Chocolate Salted Hazelnut Caramel, presented in a striking box with maximum on shelf appeal. Butlers have a wide range of special travel exclusives such as the stunning Caramel and Nut Assortment featuring a beautiful white pearlised gift box with an attractive overwrap, housing a stunning assortment of popular Caramel and Nut chocolates. Butlers ever popular 100g bar range features a beautiful assembly of sumptuous solid chocolate bars with inclusions such as fragrant mixed berry, rich 70% Dark Chocolate, creamy 40% Milk Chocolate and moreish dark chocolate mint crunch. 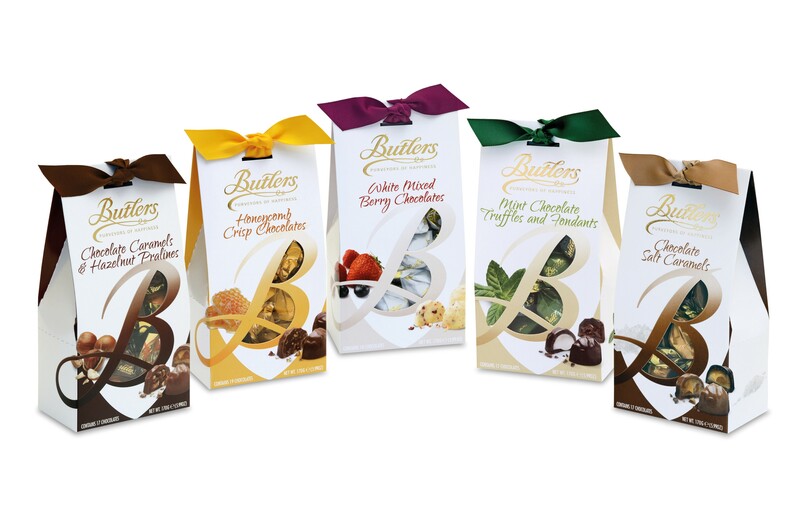 The development of Butlers deluxe sharing pack range was in response to the recognition of the increased demand for premium sharing products. 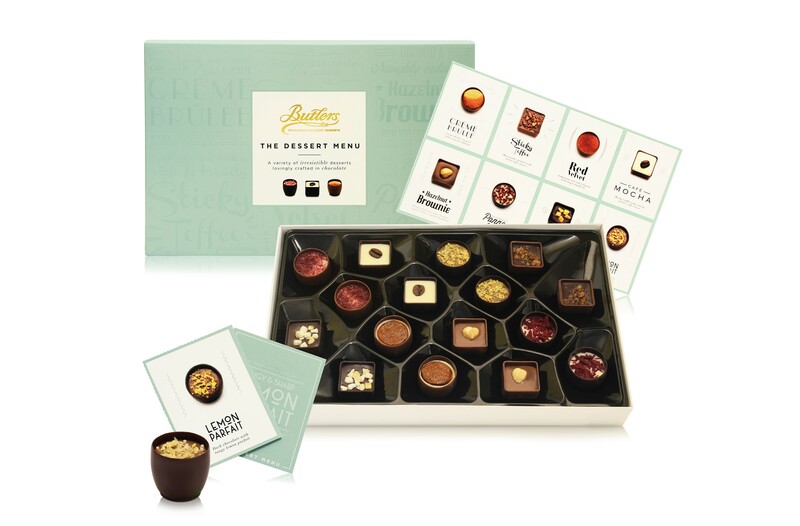 This range features some of Butlers most popular flavours; Hazelnut Praline, Caramel, Mango, Mixed Berry and Honeycomb Crisp, beautifully presented in a large 300g format. These attractive sharing packs offer great value for money, while building on Butlers premium brand credentials. Butlers’ range of creamy chocolates inspired by famous Irish drinks has always been popular in travel retail. A recent addition to the comprehensive range was Butlers launch of a premium assortment of enrobed and decorated truffles flavoured with Irish Cream and Irish whiskey to name a few, in a 190g presentation box. The chocolate masters at Butlers are set to unveil an exciting new collection of milk chocolate truffles and chocolate bars, enhanced with the subtle aroma and unique flavour of Drumshanbo Gunpowder Irish Gin. The collection will comprise Drumshanbo Gunpowder Irish Gin flavoured milk chocolate truffles, alongside a 200g milk chocolate filled truffle bar and a 100g solid milk chocolate bar. Founded in 1932, Butlers is Ireland’s premier family-owned firm dedicated to the craft of exceptional chocolate-making. A testament to their chocolate artistry, the chocolatiers at Butlers have succeeded in marrying delicate milk chocolate with the fresh citrus taste and spicy notes of oriental botanicals from Drumshanbo Gunpowder Irish Gin, creating a unique flavour sensation, sure to delight gin lovers everywhere. Drumshanbo Gunpowder Irish Gin is slow distilled in a medieval copper pot with “oriental botanicals & gunpowder tea” at The Shed Distillery of P.J. Rigney in Co. Leitrim. Taking its name from one of the signature botanicals - Gunpowder Tea, the recipe also includes fresh lime, lemon and grapefruit amongst 8 other exotic botanicals. Speaking of the collaboration, The Shed’s distillery founder P.J. Rigney commented “how delighted we are to collaborate with Butlers on their new delicious chocolate range.” Aisling Walsh, Marketing Director of Butlers Chocolates said “we are thrilled and very excited about this new partnership and look forward to launching this irresistible collection at TFWA”.